When it comes to picking out an R/C vehicle, finding the right combination of speed, handling, and appearance can be quite a chore. Years later, I still have fond memories of my first radio-controlled truck purchase, even though I changed my mind countless times before reaching the checkout counter. I bring that up because one of the models I had considered was the Traxxas Rustler. At that time, it was a 2-wheel drive stadium truck with modest power and features. My how times have changed. Fast forward a handful of years, and say hello to the latest breed of Rustler, the Rustler 4×4 VXL. Traxxas has taken “standard” stadium truck and morphed it into an earth-gripping, dirt-slinging, tire-spinning monster. From top to bottom, it’s easy to spot the newness on this fresh model. For starters, the Rustler 4×4 VXL is…you guessed it…4-wheel drive. This is one of the major changes when comparing previous Rustler models to this version. That additional grip and power should make this Rustler model a contender for a go-anywhere, do-anything bashing machine. Along with the additional wheel power, the Rustler 4×4 VXL has received a redesigned, low-cg chassis. 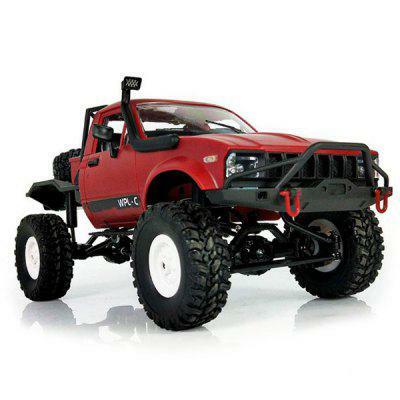 When compared to previous Rustler models, as well as other Traxxas low-cg vehicles, this chassis bears a striking resemblance to that of the Slash short course truck. There are some unique “driver comfort” features sprinkled throughout this model as well, including a self-righting mode and clip-less body mounts. Both of these features have appeared on models such as the Traxxas X-Maxx and E-Revo 2.0 and it’s nice to see them put into action again. Powering the Rustler 4×4 is a Velineon 3500 brushless motor which is paired with a Traxxas VXL-3s ESC. Both the ESC and the motor are capable of handling 3S LiPo battery packs. Visually, the Rustler 4×4 could be mistaken for an E-Revo 2, especially if you squint. Two color options are available for the body graphics, blue/red/orange and blue/green, with both options including black-chrome wheels to complete the Rustler’s new, aggressive look. Priced at $399.99, the Traxxas Rustler 4×4 VXL will be available for purchase online and through your local Traxxas dealer. Visit traxxas.com for additional details about this model. ← Mark Your Calendars for Pro-Line’s Monster Truck Palooza 2018!